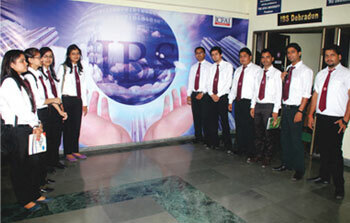 IBS Dehradun is successfully placing its students in eminent organizations since its inception in 2004. The Career Management Center at IBS guides and mentors the students on placement matters. Decisions related to the companies visiting the campus for recruitment are broadly based on parameters such as job profile, growth prospects, remuneration packages and number of students the company intends to select. IBS Dehradun has achieved excellent campus placement for the final year students and summer internship placements, reflecting the faith and confidence of the industry in its students. We request the Companies to confirm their visit schedules early so that appropriate time slots can be given.